Artist in the American west. During the Grand Reveal of their newest contemporary furniture collection, I will demonstrate desert landscape painting on October 1, 1-4pm. Along with “Desert Italia” at Contents Interior, see my “Desert Dream” series of oil paintings. Selected large and small landscape oils – studio and plein air paintings from my studio will also be on view and for sale. Wine Tasting * Food Tasting * Artist Demonstration (yours truly!) * Design Presentation * Italian Music * Door Prizes and more! This Friday, the September Full Moon brings again Open Studios at the Metal Arts Village. 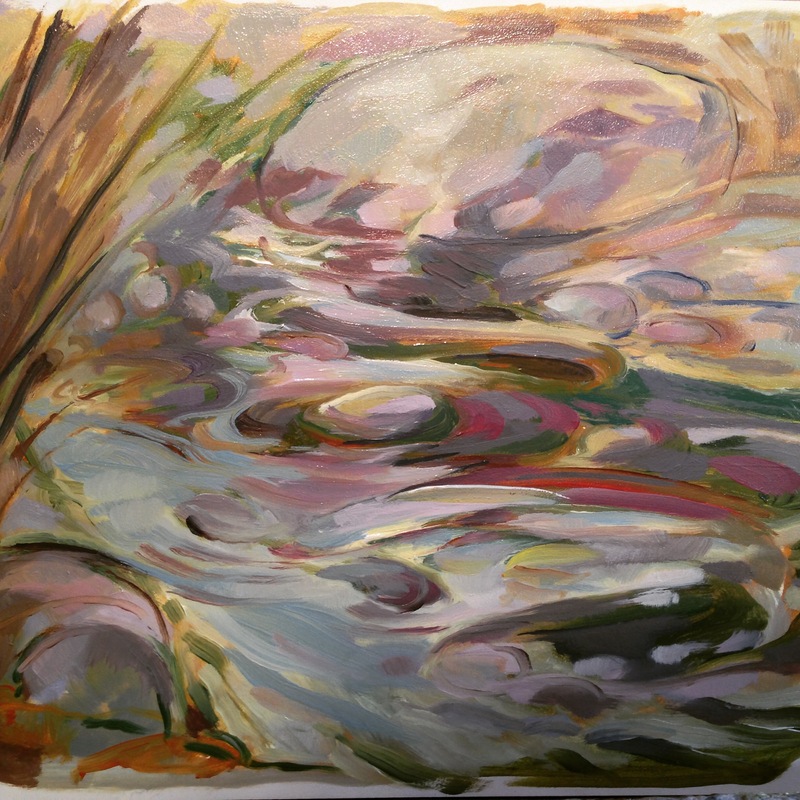 I’ve been working on some small studies in oil of monsoon water flows from the creeks around southern Arizona. Looking forward to some cooler weather now! Full Moon Open Studio is this Tuesday, at my studio in the Metal Arts Village, Tucson. I will be featuring this painting, a recent oil based on studies made of a special place in the wash at Rancho Linda Vista in Oracle, AZ. In studio paintings, I like to let the mark making and color fly. Abstraction meets representation, and the painting becomes something more than the original study, which is more often than not painted on site. Above is the small plein air study made of this prehistoric waterfall, mainly of the little top section, a very intriguing boulder conglomeration. This piece is 12 x 9″. The studio painting is 24 x 36″. Ruby, Arizona, one of the largest and oldest ghost towns in Arizona, and a destination for a recent painting trip on a sunny February day. 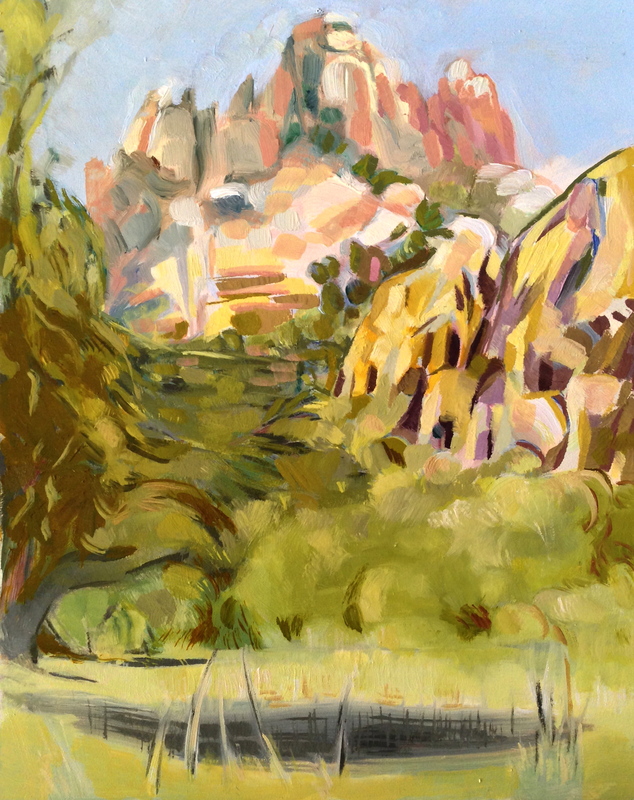 The atmosphere of the town lent itself to an inspired afternoon of wandering and exploring, and finally settling down to paint a view of the Mill, with Montana Peak behind. The mill, shed and Montana Peak. Stages of the plein air study, beginning with a yellow ochre underpainting, building up layers of colors until finally a 2 or 3 hour painting was as complete as it was going to be. Then once more checking in on the Schoolhouse before we go back to Tucson. 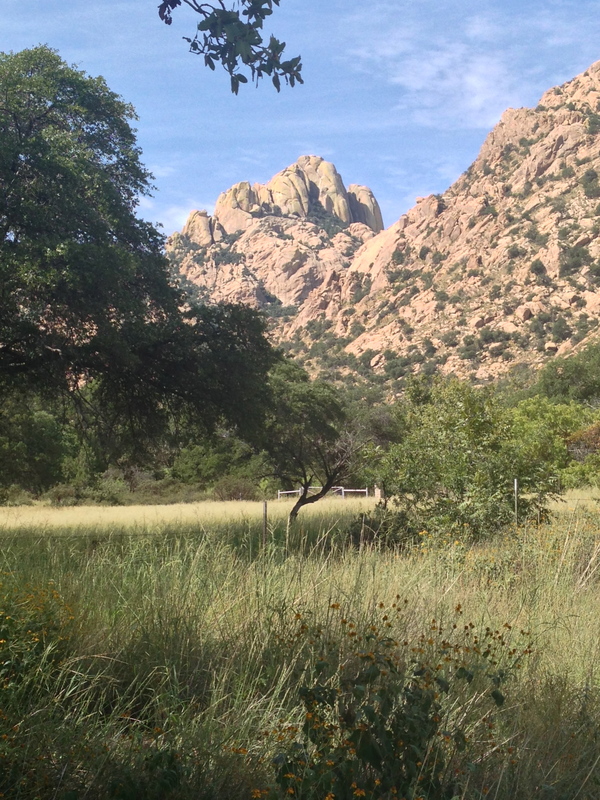 Another wonderful visit to Cochise Stronghold in southern Arizona. We found our site to set up easels just before the park land. There was a cozy spot in the shade, near a little horse trail and an abandoned stone ranch house. Starting the oil painting, I’ve blocked in some of the middle tones, and shadow fall on the boulders above. 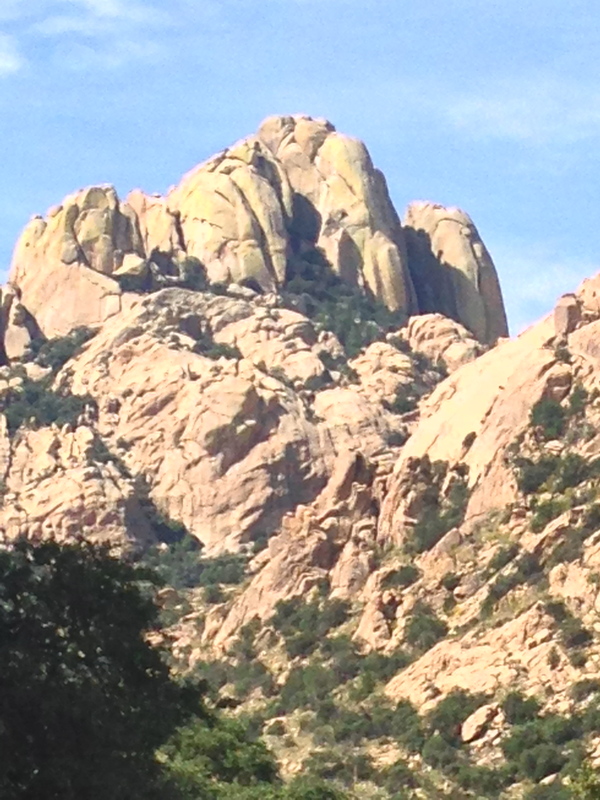 Closer view of the beautiful boulders that Chief Cochise of the Apaches had his last stand. Final view of the finished painting. It was a beautiful warm day, the intense heat of southern Arizona summer fading a little. Ramsey Canyon Preserve, and the Nature Conservancy. 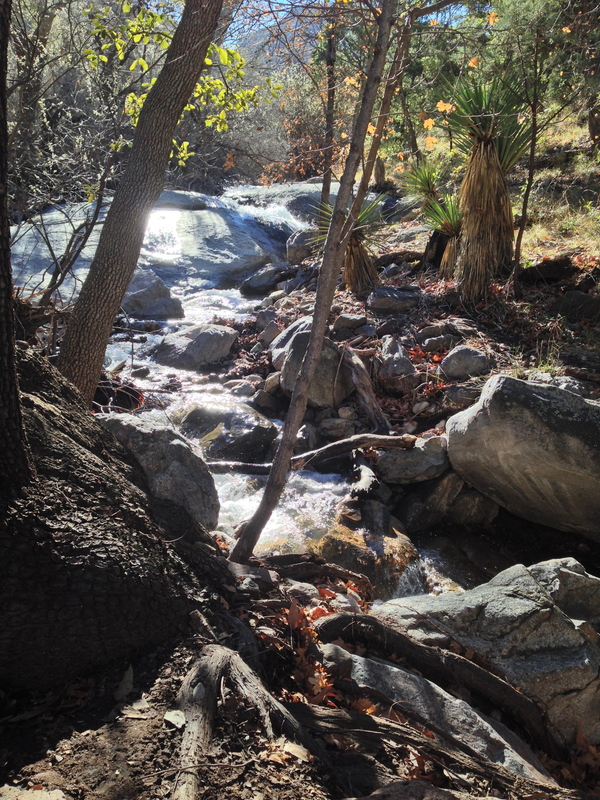 Located within the upper basin of the San Pedro River basin, Ramsey Canyon is a paradise for birding, nature watching, and plein air sketching and painting. It’s nice to compare the seasons as they unfold. 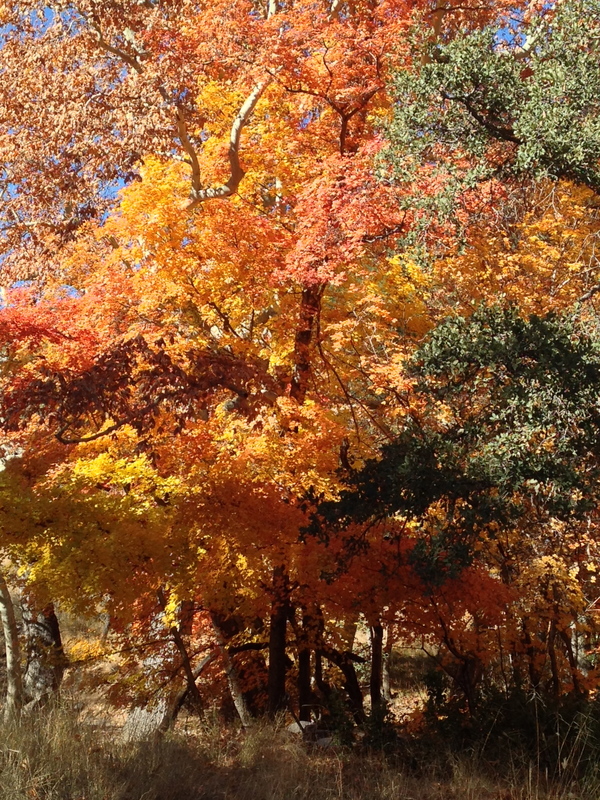 Fall colors along the San Pedro river, at Ramsey Canyon Preserve in the Huachuca Mountains, Arizona. 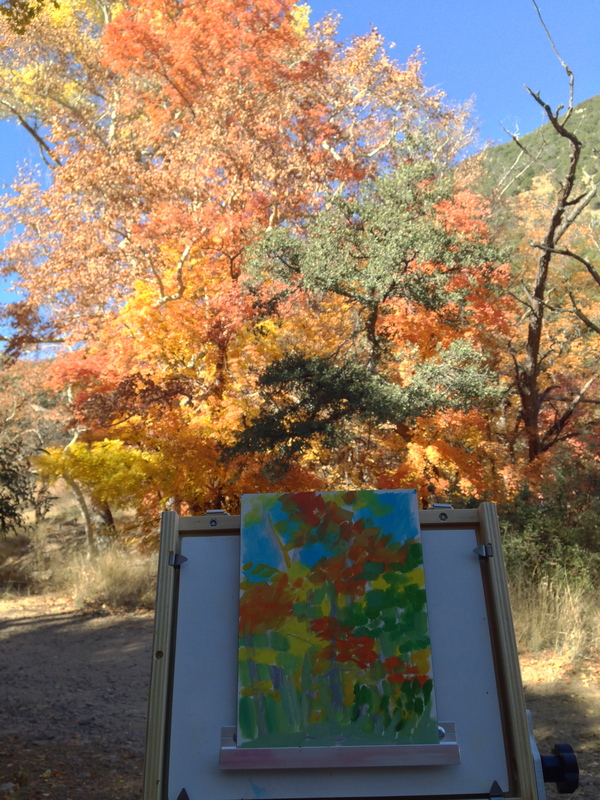 Last November as the leaves were in full color, we took advantage of a great opportunity to take the easel and paints out to the Ramsey Canyon nature preserve. The sketch was really about the brilliance of the color, and the forest environment. 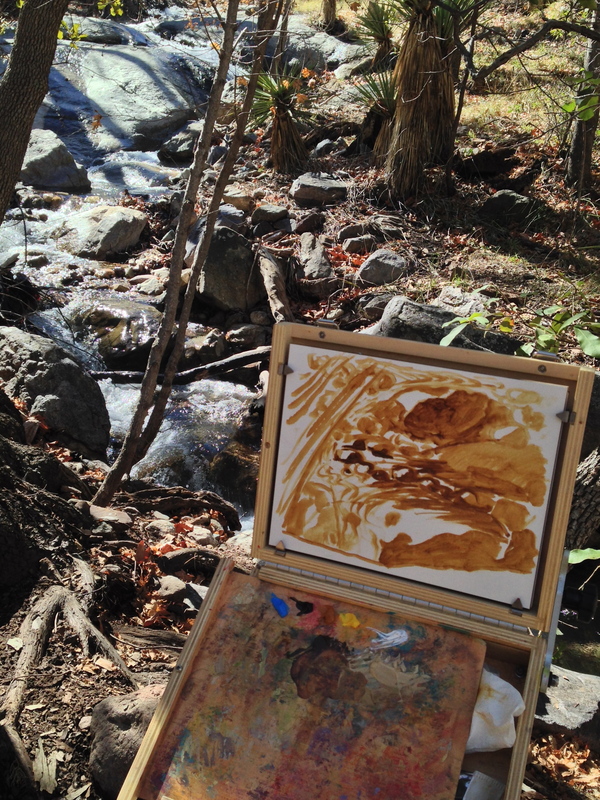 A couple of months later, we returned to the preserve, and set up easels next to the beautifully running creek. The light is gorgeous, the water running at a steady clip. 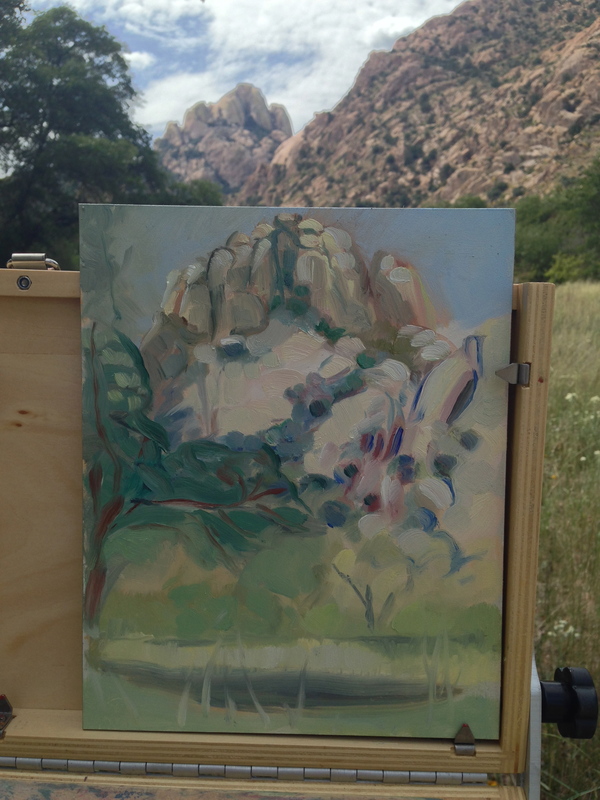 Being mid-day, the sun was going to steadily move down, but we figured we had 2 1/2 good hours to paint..
Beginning sketch in ochres to set up values. The goal was to catch the light on the running water, the movement and transparency of the water flowing over the rocks. Finished 8 x 10″ oil sketch. Continuing studies in working with color in the studio at Betina Fink Arts. Beginning November 7: Color Fundamentals/Pencil, Level 1. For more information please click: Classes. Below: one of our projects, drawing a live, curling bamboo plant. Exploring the natural world through the journey of making art.